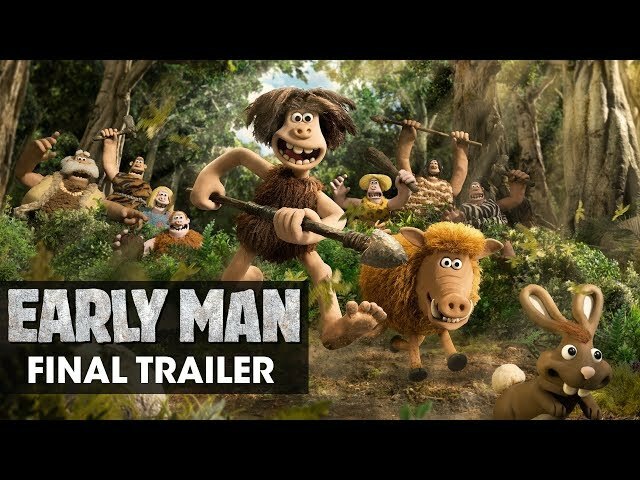 Early Man (film, 2018). A 2018 British stop-motion animated historical sports comedy film with "PG" rating by StudioCanal. Directed by Nick Park. Official Trailer. 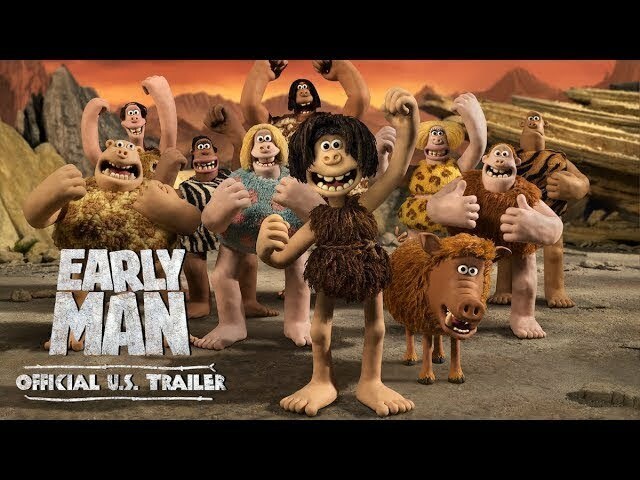 Early Man is a 2018 British stop-motion animated historical sports comedy film directed by Nick Park. 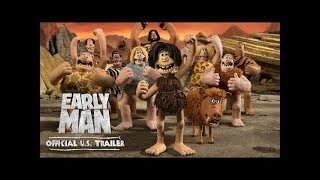 Early Man (2018 Movie) Official U.S. Trailer - Eddie Redmayne, Tom Hiddleston, Maisie Williams. An asteroid collides with the prehistoric Earth, causing the extinction of planet's dinosaurs, but sparing a tribe of cavemen living near the impact site. Finding a roughly spherical chunk of the asteroid that is too hot to touch, the cavemen begin to kick it around and invent the game of football. Many years later during the Stone Age, a young caveman named Dug (Eddie Redmayne) lives in the village with the chief Bobnar (Timothy Spall) and many other cavemen such as Asbo, (Johnny Vegas), Gravelle (Gina Yashere), Treebor (Richard Ayoade), Magma (Selina Griffiths), Barry (Mark Williams), Grubup (Richard Webber), Thongo, and Eemak (Simon Greenall). One day, Dug suggests to Bobnar that they should try hunting woolly mammoths instead of rabbits, but Bobnar brushes him off. A Bronze Age army of War Mammoths led by Lord Nooth (Tom Hiddleston) drives the tribe out of the valley and into the surrounding volcanic badlands, proclaiming that the Stone Age has ended and the Bronze Age has begun. Dug tries to attack the army, but falls into a cart and is unknowingly taken to Nooth's city. While trying to evade the guards and escape, he is mistaken for a football player and led onto the pitch before a full stadium crowd. He challenges Nooth's elite local team to a match with the valley at stake and promises that the tribe will work in Nooth's mines forever if they lose. Nooth dismisses the proposal at first, but changes his mind once he realises that he can profit from the match. Dug discovers that although his ancestors invented football, the other members of his tribe are too dim to understand it. After their only ball is destroyed, Dug and his pet boar Hognob (Nick Park) sneak into the city to steal more but are found by a resident named Goona (Maisie Williams). Resentful over the team's exclusion of women, she helps them steal some balls and agrees to coach the cavemen. The film Early Man was scheduled to be released by StudioCanal on January 20, 2018 (BFI Southbank), on January 26, 2018 (United Kingdom), on February 16, 2018 (United States), on March 22, 2018 (Russia, Denmark) and on April 26, 2018 (Germany). The duration of the film is 87 minutes. With a budget of $50 million, the film grossed over $54.6 million. 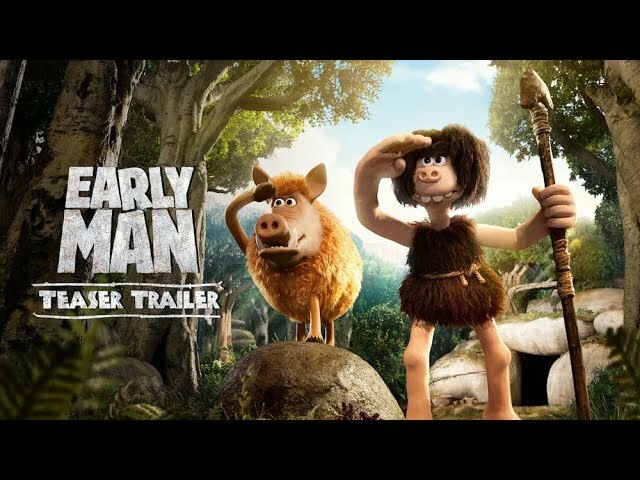 Early Man got high rating from critics. But the audience dislikes the film. Audiences polled by CinemaScore gave the film an average grade of "B" on a scale ranging from A+ to F.